Essendon VFL senior coach Dan Jordan has heaped praise on skipper Heath 'Buddha' Hocking as the pair enter their second season in charge of the Bombers. Aside from taking over the captaincy, Hocking was also appointed as the head coach of the James Hird Academy in 2018 and Jordan says that experience has done wonders for the former AFL Bomber’s leadership. “This time last year he was a little unsure of his role and how he was going to distribute that to the team and help them grow, but I thought his growth was tremendous last year,” Jordan said. “Doing the coaching helped him out a fair bit in building those relationships with players. Hocking led his side from the front in 2018, providing crucial grunt and experience for the relatively young squad, but his efforts off the field have been just as impressive. Jordan expects the tough midfielder to prove extremely valuable for the coaching staff as he continues his own coaching development. “The teaching aspect is something that’s evolved for him over the last 12 months and I expect him to be a real asset for me, not only as a player, but also as an on-field coach. The Bombers will take a new coaching line-up into the 2019 season after the departure of forward coach Nick Daffy and backline coach Wayne Schultz’s move to the club’s VFLW program. 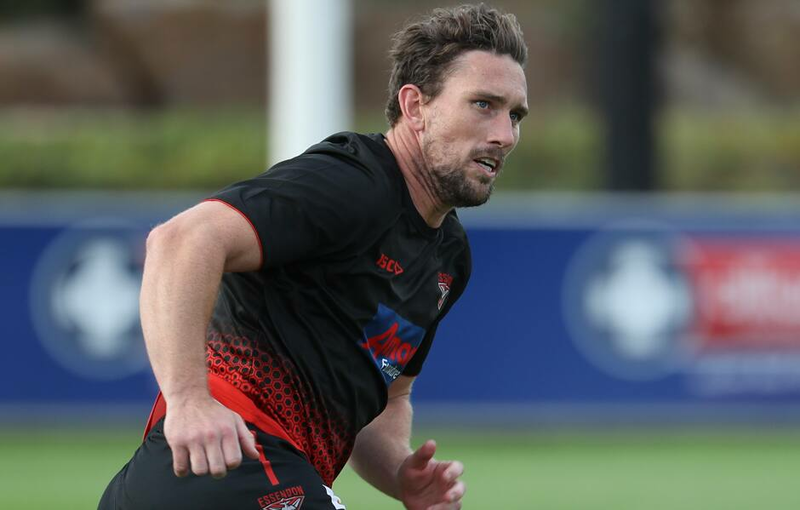 The new-look team in charge features some familiar faces for Essendon fans, with former Don Ricky Dyson leading the defensive unit and former VFL vice-captain and development coach Matt Firman stepping up to take on a new challenge as forward coach. “Ricky Dyson returns to the club, he played over 100 games here and knows the system well and coached really well at local level with Bundoora so he’s going to be really good,” Jordan said. “He’s going to be in charge of our defence and building relationships there. He communicates well and seems to be tracking very nicely. “Matt Firman steps up as our forwards coach after doing lots of development work for us last year. “He’s really experienced in the VFL, he played over 100 VFL games and won premierships, so he’s really capable in that aspect. He’s starting to grow in terms of his communication and being able to coach and see the game. Jordan said he enjoys playing a role in his colleagues’ development and he is confident the new crop, including Ben Patrick in his second season as midfield coach, will mesh well this year as the side looks to back up an impressive campaign last year. “Part of my role is developing our coaches and potentially pushing them to some career progression as well,” he said. The VFL Bombers’ season is set to kick off against Frankston on Sunday, April 7.